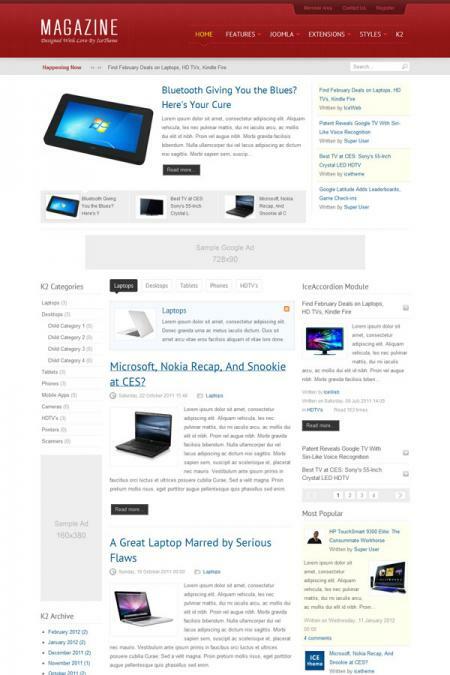 IT Magazine - Joomla template we are familiar with the studio IceTheme, a representative of the "classics of the genre." This is manifested in its simple design, as well as in the presence of two side panels, allows you to put all the modules menu of the site so that the user does not scroll down the page. In the template were built four studio extensions that support dynamic pages as well as plug-IceSpeed ​​accelerating their load. Pattern is displayed correctly in all browsers and on all mobile devices.